Dassault Systemes announced on Thursday that it is purchasing Gemcom Software for a total of about $360 million. The transaction should be complete in July of 2012. The inclusion of Dassault in the arena of mine modeling software is a huge upgrade for the mining industry. Dassault is a major player in the 3D software modeling industry (providers of 'SolidWorks' software). They represent a modern approach to software development. Maptek users might recognize the name Dassault from recent graphics issues between Vulcan software and NVIDIA graphics cards. The custom setting used to mitigate the graphics problems was the Dassault setting. If Dassault can get special settings from a global hardware provider like NVIDIA what else might they bring to the mining community? Dassault Systemes intends to keep the current Gemcom leadership in place, including CEO Rick Moignard. Rick will lead the newly created GEOVIA brand with Gemcom at its heart. Current providers of mine modeling software began production in the early 1980's with the FORTRAN programming language as the base code. To a greater or lesser degree, all the major players in the mining software market struggle with this archaic background. Recent upgrades have been added to the original FORTRAN background but a new base for code has never come to fruition. The entire mine software industry should be pushed into modern programming techniques including managed software and unit tests. Failure to upgrade to new methods will leave competitors in Dassault's dust. In their press release announcing the purchase Dassault stated that the current management at Gemcom will stay in place. This seems like a poor decision. Current management has allowed development of the software to lag behind current standards. It would be a much better idea to push the software into the 21st century. New programming methods and managed software would force the entire mining software industry forward. Please, lose the currentt management and replace it with Dassault type managers. People who understand the software industry, not just the small time mining part of it. Rio Tinto recently published the First Quarter 2012 Operations Review. The review shows increased production in most commodities compared to Q1 2011. In addition, Rio Tinto also plans to increase its share in Richards Bay Minerals by purchasing the 37 percent stake held by BHP Billiton. Rio also completed a buyback of 116.9 million shares of stock. Downside reports come from Kennecott Utah Copper where copper production was down due to lower grades. The low grade areas were expected but lower is still lower. Rio Tinto also is looking into selling its diamond mining business including the Diavik Diamond Mine in Northwest Territories Canada. Executive compensation for Newmont senior leadership is slightly higher than other global mining companies. 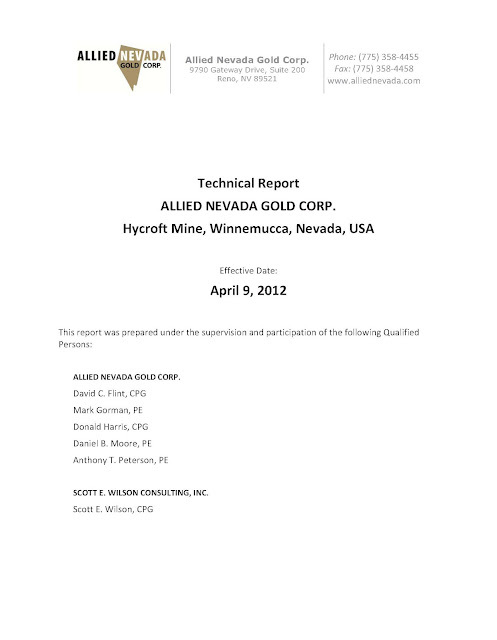 This may be due to the size of Newmont Mining Corporation or to their desire to be 'THE' gold mining company. I did appreciate that the CEO was compensated less in 2011 than in 2010. People paid so highly for their performance need to be able to accept 'down' years. Although, if my 'down' year was in the 10 million dollar range I think I could still muddle through. Two of the board members for Newmont have mining experience (or at least geology degrees). They are: Joseph A. Carrabba and Simon R. Thompson. Mr. Carrabba has a geology degree from Capital University. He was CEO of Cliffs Natural Resources and COO of Diavik Diamond Mines. Mr. Thompson was CEO of Anglo American and a director of AngloGold Ashanti. He has a masters degree in geology from Oxford University. It's good to see two board members have a background and education in mining and earth science. Newmont CEO Richard T. O'Brien has a bachelor degree in economics and a law degree from Lewis and Clark College. He has extensive executive experience (mostly with Newmont) but where is his experience with dirt? Where are the CEO's of mining companies who have experience as mine engineers or geologists? 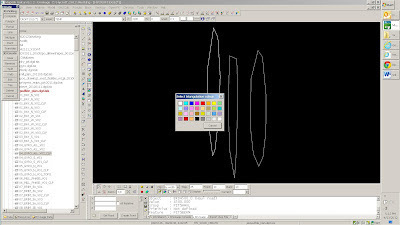 According to their website, Maptek released the 64-bit version of Vulcan on 10 April 2012. I don't know what they mean by 'released' but I have still not received my installation CD. I did, however, get a chance to read the release notes for the 64-bit version. The problem with release notes is that they've got too much information. They are like the end user license agreement. It's important, but nobody has the time to read the whole thing. What you really need is somebody to read the release notes and tell you about the important parts. Don't worry, I'm here to help. In addition to the above 'crashes' that are fixed in Vulcan 8.1.4, there are also six instances where Maptek 'restored' functionality. These are menu items that used to work, but stopped working in recent versions. On top of being available as a 64-bit version, Maptek Vulcan 8.1.4 includes some significant fixes and upgrades. I plan to install it as soon as the disk comes in and would recommend that you do too. The rescue of nine Peruvian miners last week reminds us that mining is, at its heart, a dangerous activity. Dramatic rescues like this one and the Chilean miners rescued in 2010 make everyone feel happy but distract from the fact that ground control isn't the most dangerous aspect of mining. The most dangerous aspect of mining is the people involved or, rather, the powered equipment used to haul rock. Powered haulage is responsible for far more deaths in mining than cave-ins. It also doesn't trap people hundreds of feet underground. The inherent dangers of ground control and powered haulage should be enough to cause a large amount of caution in any mining activity but the Peruvian miners rescued last week were also breaking the law. Informal mining is a big deal in Peru. The Peruvian Times reports that nearly 30,000 people are involved in the Informal mining industry in Peru. In reality, this is ILLEGAL mining that is going on. The story of nine miners trapped in a mine in Peru adds to the bad image of the mining industry but these people should not have been there in the first place. The blast that caved in the mine entrance was set by the illegal miners themselves. Where is the regulation of mining in this district? Are the illegal miners receiving fines and prison sentences for breaking the law, or are they still being treated as heroes? One of the most fundamental tools in Vulcan is the creation of triangulated solids. This skill is imperative to mine engineers and geologists who wish to become proficient Vulcan users. Solid triangulations are used to represent rock and lithology types, oxidation areas, grade shells and planned mine areas. A valid, closed solid is required to calculate reserves for a non-uniform 3 dimensional volume. 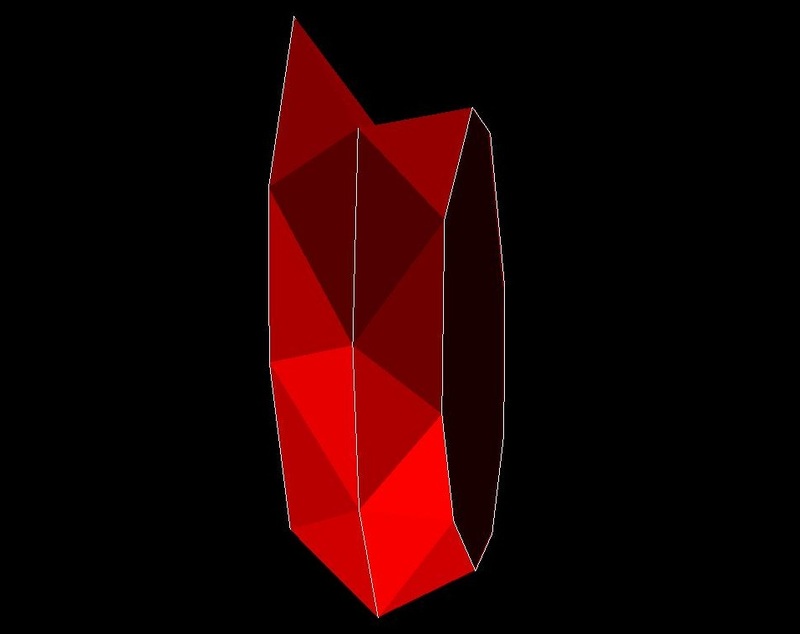 In its most basic sense, creating a solid is simply connecting a series of closed polygons. Each of these polygons should be in its own plane and each of the planes should be parallel to the others. Triangulating polygons that don't follow these guidelines is not impossible, just many times harder. To begin triangulating your polygons select Model > Triangle Solid > Create. Check the boxes for creating first and last end plate. If these check boxes are left blank the resulting triangulation will not be closed. Click 'OK' and select the first two polygons. 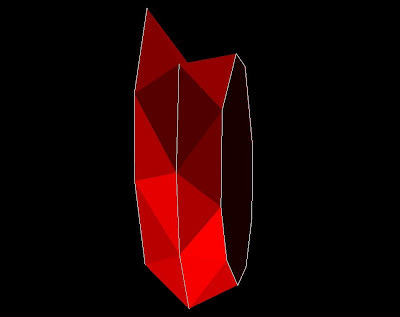 These polygons should start at one end or the other of the solid and continue toward the other end. Do not start in the middle. 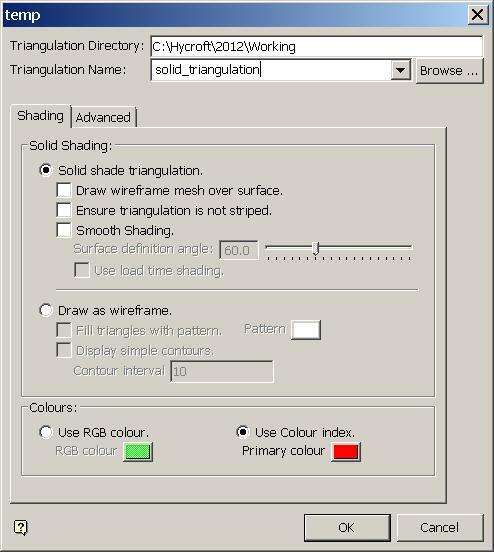 After selecting the first two polygons you will be prompted to select a color for the triangulation. 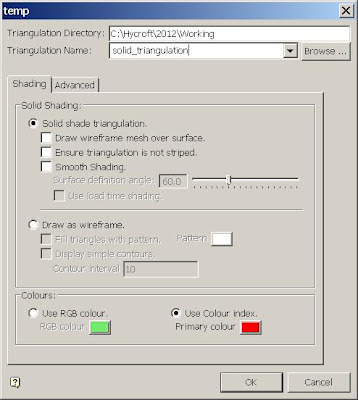 This color is used to display the sections of the triangulation as polygons are added to the selection. This color can be changed again before saving. After the last polygon has been selected, click on the save button in the 'Create' panel that has popped up (by default on the left side of the Vulcan screen). 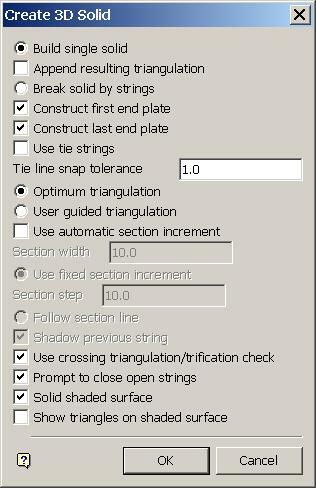 In the 'Save Triangulation' panel type a name for your new triangulation and select a new color if you didn't like the one you have been using to this point. The saved triangulation should be the newest file in your working directory. 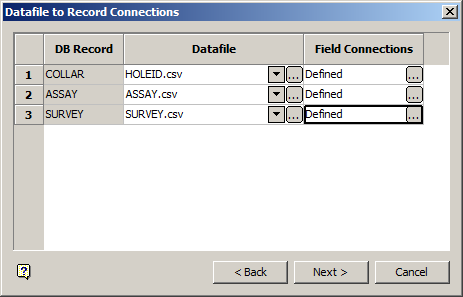 Be sure to check the triangulation for Validity before using it to define an area in advanced reserves. Maptek has announced its intention to release a 64-bit version of its Vulcan software (Vulcan 8.1.4) sometime in the month of April 2012. To Maptek Vulcan users worldwide this is a long anticipated event. Everyone I have ever talked to about the software has wanted to load a larger dataset than was allowable. These large datasets are often detailed triangulations, drillhole databases with hundreds of thousands of drillholes or block models with too many blocks. My most recent encounter with the 'too big data' was over the aerial flyover data of the Hycroft mine. The data provided by the survey company was beautiful. The point density was phenomenal and the area covered was huge. The only problem? It wouldn't triangulate in Maptek Vulcan. Don't worry, I am an old hand at Vulcan and managed to triangulate the entire solid using the external executable. Now the problem is that I can't load the triangulation into Vulcan and use it in a reasonable fashion. The triangulation loads but has so many points that I can't rotate it smoothly. The topography moves in such big fits and starts that I can't see what is going on. Time to filter the triangulation. I'm pretty good with the Maptek Vulcan software so I can manage this too. After a few iterations I finally have the triangulation file size filtered down to 10 MB from 100 MB. Now the triangulation loads, rotates and looks pretty good but I feel cheated. We paid a lot of money for the point cloud provided by the aerial survey. Why can't I use all those points? Hopefully, the 64-bit version of Vulcan will help with that. The 64-bit version of Maptek Vulcan should allow users to load large datasets like my huge topography triangulation. This data will still use the same processor but allow more points to be held in memory. Will this limitation on processing power be the new software limitation? Now that I can load truly huge datasets will they just be too slow to effectively work with? 64-bit Vulcan is a step in the right direction but is there something more that could be done to create better mine modeling software? I also worry that, with no actual release date, Maptek means to delay the release of the version because it is not truly complete. Only time will tell. The Kinross Management Information Circular is an outline for the company's annual meeting. At this meeting, shareholders vote on key items for the future of the company. Foremost among these items is the compensation packages for the named executive officers and board of directors. As with most publicly traded companies there is an attempt to align the compensation of senior leadership with the objectives of the company so that as the company succeeds the senior leadership also succeeds. The reverse should also be true. As the company fails the compensation of the senior leadership should also suffer. This doesn't feel like it really happens. Over the course of 2011, the Kinross stock price fell from $18.72to $11.40, or 39%. Senior leadership, and CEO Tye Burt, didn't take a comparable decline in compensation. Named executive officers made less in 2011 than they did in 2010, but Mr. Burt still received $7.7 million in total compensation. I wish I had a job where my value to the market could drop 39% and still come away with compensation on the order of $7.7 million. Today I finally got the chance to use my Professional Engineer's Stamp. 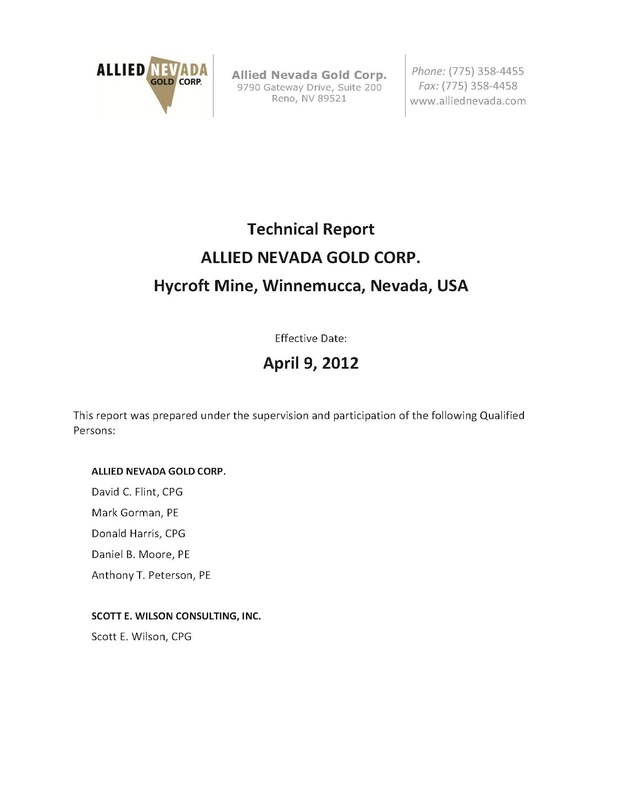 I am one of the co-authors of the Technical Report ALLIED NEVADA GOLD CORP. - Hycroft Mine, Winnemucca, Nevada, USA. This report is currently on file with the SEC. It's so fun (and a little bit scary) to see my work being taken so seriously. Mr. Donald Deranger once worked as a uranium miner but seems to have spent most of the many years since representing the aboriginal communities in Saskatchewan. Mr. James Gowans brings considerable mining experience to the Cameco board of directors. He has a bachelor of applied science in mineral engineering from the University of British Columbia. Mr. Gowans also has experience as COO of DeBeers SA. Mr. Oyvind Hushovd has experience as CEO of multiple mining and exploration companies. His degrees in economics, business administration and law make him an ideal executive, but is there actual mining experience or just CEO experience? Mr. John Clappison has experience in finance and executive compensation. His mining experience seems to be derived from his seat on the Inmet Mining Corporation. Mr. Tim Gitzel (Cameco's president and CEO) has a law degree from the University of Saskatchewan. 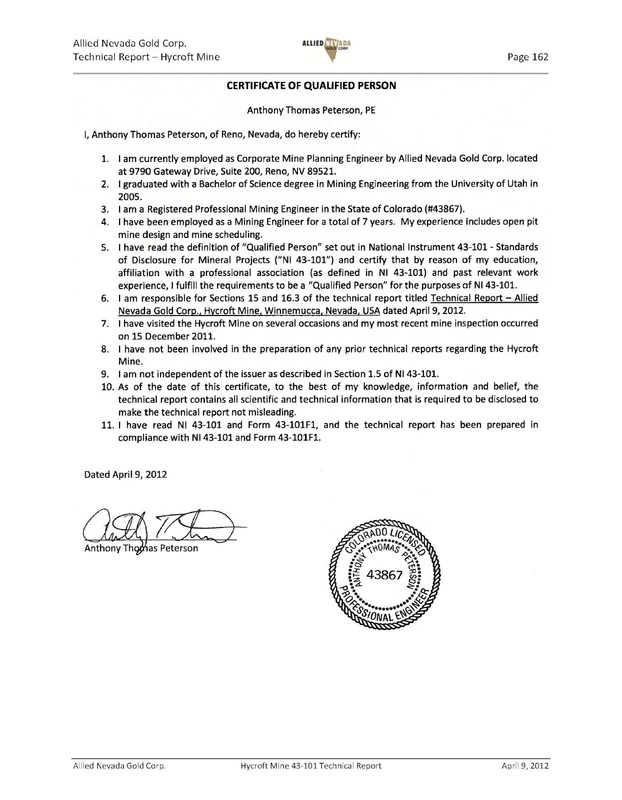 All of his mining experience listed is as senior executive level. Mr. Getzel has served as the president of the Saskatchewan Mining Association. Also included in the circular are the compensation totals for the named executive officers and board members. Gold Fields recently released its 'Integrated Annual Review 2011.' This document reports on the 12 month period ending December 2011 and includes the 'Annual Financial Report 2011' as well as a report of global reserves and resources. Gold Fields reports mineral reserves of 80.6 million ounces (p4). Also included in the annual report are the annual compensation figures of executives and directors. South African companies seem to follow the trend of generous pension plans for executive officers. I wonder how their employee pension plans compare to the self funded and matching type 401k plans available to the majority of American employees? Compensation of Gold Fields Directors and Officers including fees, performance pay, pension contributions and expense allowance (p208). Table is in U.S. Dollars converted from Rand using a conversion rate of 7.22 R/US$.